You've got big dreams. We can see it in your eyes. At Waterstone Mortgage, our Jumbo loans make it easier than ever for homebuyers to purchase their dream homes. With flexible options, program expertise, and superior service, we'll work with you to select a loan program that meets your financial needs and goals. A Jumbo loan is any home loan that exceeds a specific threshold called the conforming loan limit. Currently, the conforming loan limit for a single-family home is $453,100. However, loan limits can go higher in some high-cost areas of the continental United States. What Makes Jumbo Loans Unique? Jumbo loans differ from conforming loans in several ways. First, they offer a larger amount of financing than a conforming loan. With this larger loan amount typically comes slightly higher interest rates than conforming loans for lower amounts. Am I Eligible for a Jumbo Loan? The same factors examined when applying for any home loan are looked at when applying for a Jumbo loan. However, qualifying for a Jumbo loan typically requires higher credit scores, lower debt-to-income ratios, higher reserves, and larger down payments than qualifying for a standard conforming home loan. What Are the Benefits of a Jumbo Loan? 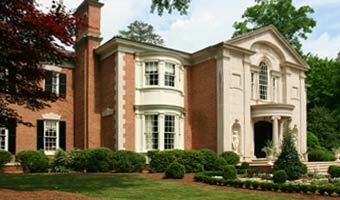 There are number of benefits Jumbo loans offer when compared to other methods for financing more expensive homes. Let the experienced professionals at Waterstone Mortgage guide you throughout the entire Jumbo loan process. With our expertise and attention to detail, we'll work with you from application to closing to make your homeownership dreams a reality.